And I’m not alone. PC Gamer has chronicled the rise of RPG Maker titles on Steam reporting 135 new releases in 2016 alone. 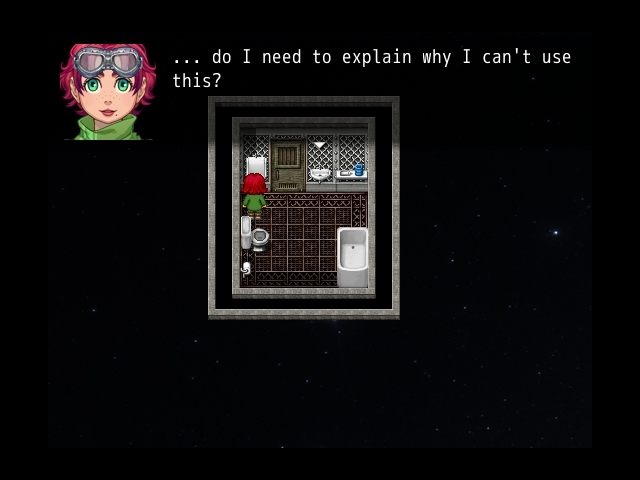 Recent updates to the engine for RPG Maker MV have made it incredibly user-friendly, and Steam has helped the latest iterations reach a global audience. The slew of titles released under the RPG Maker banner in the last few years has, naturally, meant a lot of dross on the virtual shelves. They try to lure us in with overly-curvaceous anime cover characters (who never look anything like that in the game) and offer the same old JRPG-style gameplay. There are, however, many gems that shine through. These are games that go beyond the classic zoom-in battle encounters and do things differently. They are well-written stories with challenging choices and plenty of surprises. They also cost small change (and you can even get most of your outlay back through Steam trading cards!). The Deed series from Pilgrim Adventures literally gets away with murder. 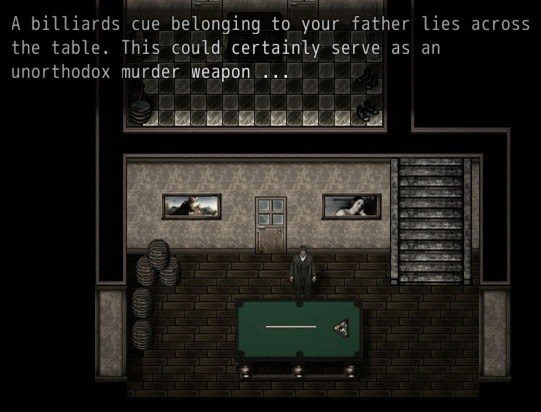 You play an estranged family member returning home intent on killing one of your relatives. 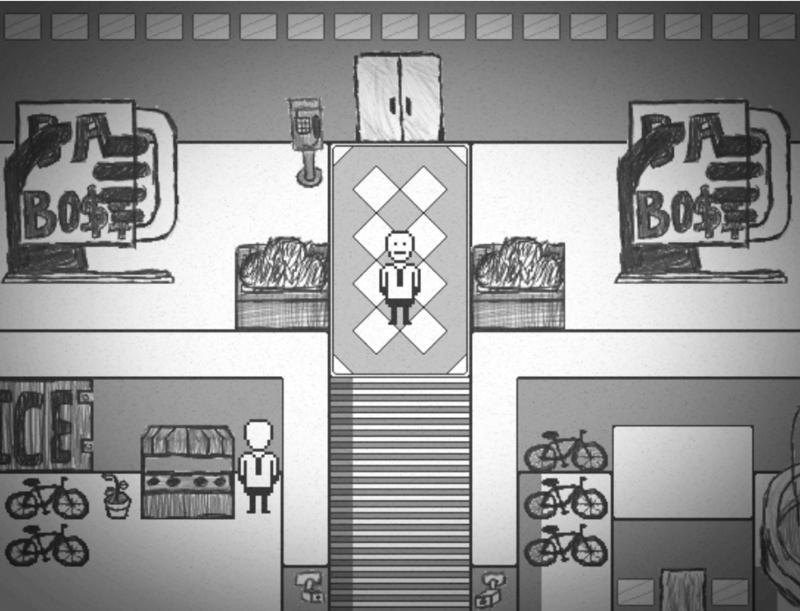 In the first part of the game, you explore the house and speak to the various characters. This helps you glean vital information to later pin the blame on somebody else. You may pick up two items – a murder weapon and potentially incriminating evidence, which you then must plant in the right place to set someone up. It’s like Cluedo in reverse! After dinner, you get the chance to strike, committing the eponymous deed and getting out of there before anyone sees you. The police then arrive to investigate. If you have played your cards right, you’ll get away with it. Any missteps, however, and you’ll be off to jail. These scenarios genuinely make you want to play them over and over, having a different character take the fall each time. Each playthrough is incredibly dark but also incredibly entertaining. The first of our titles set in a dystopian sci-fi future, City of Chains (Astronomic Games) puts you in the boots of fugitive Holt Allaway. You must lead a band of prisoners of the state to escape and ultimately freedom. This game is underpinned by a very strong narrative, but it is the range of choice that makes it stand out. 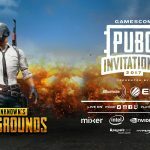 You can opt to fight at close quarters, sneak past enemies, or toss a grenade. You can pick a lock, find a key, or blast a hole in the wall to enter a room. This all creates a non-linear gameplay experience. But your choices have consequences. These will affect your relationships with the other characters, as well as their fates. This all leads to a multitude of endings – creators of episodic ‘choice-driven’ adventures should take note. 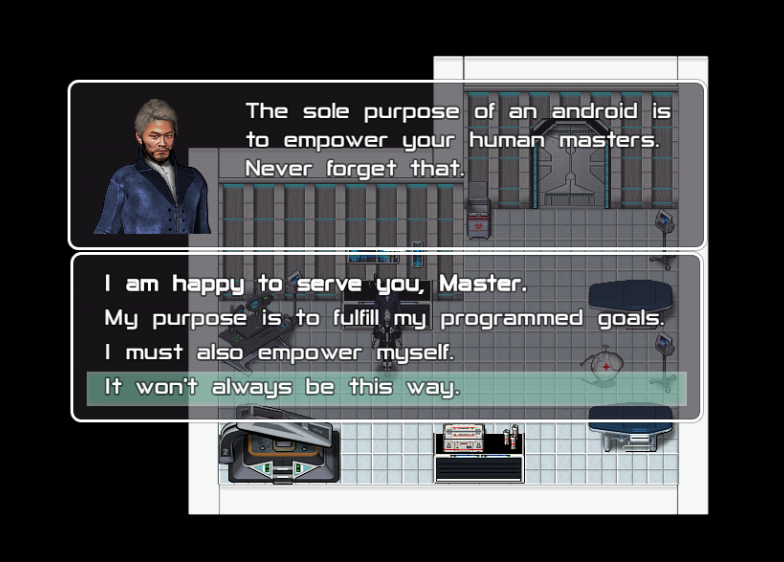 From the makers of The Deed, this is another journey into a dystopian sci-fi setting, this time you are in control of an android whose creator gifted it with free will. You are sent to the planet of Akritas, an isolated world on the fringes of the galaxy, to serve the human occupants. With mistrust of your A.I. kind a constant obstacle, you must decide whether to follow orders in an attempt to win trust or be subversive and bring about chaos. You may also find yourself pondering the nature of A.I. and its place in our future. The choices you make influence the narrative of the game to create a non-linear playing experience. Boasting more than a dozen different endings, your decisions and actions will affect the fates of each of the major characters you meet. With plenty of mysteries to solve and secrets to uncover on this seemingly desolate alien world, that makes for a varied and engaging gameplay experience. OK, so this is a classic JRPG style game with a voluptuous demon featured in the game art, but underneath all that is an engaging story. You live in a world where the demon Isharu has cast a curse on the land – anyone who commits one of the seven deadly sins turns into a demon. You travel the world with your brother, who has bizarrely turned into a cat rather than a monster. Your quest to return your brother to normal inevitably gets you involved with lifting Isharu’s curse and saving the world of Lanistra. The interaction between the brothers drives the game and adds in some humour along the way. This game differs from its peers with a real-time battle system instead of the usual turn-based attacks, but it is the story and amusing characters that draw you in. Add in the fact that you can boost your combat stats by stuffing your face with pork buns (strangely, not invoking the curse through gluttony), and you have a gem of a game. Once again, we venture into the world of sci-fi, but this time with a little less dystopia. Once again, we are well-served by Pilgrim Adventures, who really seem to have the hang of this RPG business. Yet again, the story makes this game. You play as Gail Pilgrim, captain of an interstellar passenger ship. When a crazy priest locks himself in the cockpit intent on flying all aboard into the nearest star, you must save the day by enlisting the help of those around you and progressing through the story. Unlike the other Pilgrim Adventures titles, this is a linear story with little choice over actions and dialogue. However, it is a very well-written story. Each episode offers just over an hour of playtime with plenty of funny moments and recurring toilet jokes to keep bringing you back. I’ll round off this list with something a little different. In Technomancy Studio’s Suits (not to be confused with the USA Network series), you are invited to bring your strong fists, fantastic tie, and girthy briefcase along to The Corporation, all covered by a measly $0.99 application fee. Surprise, surprise, The Corporation is not what it claims to be. It rules the in-game world with an iron-fisted monopoly on pretty much everything. Rather than fight the corruption, your mission is to embrace it. 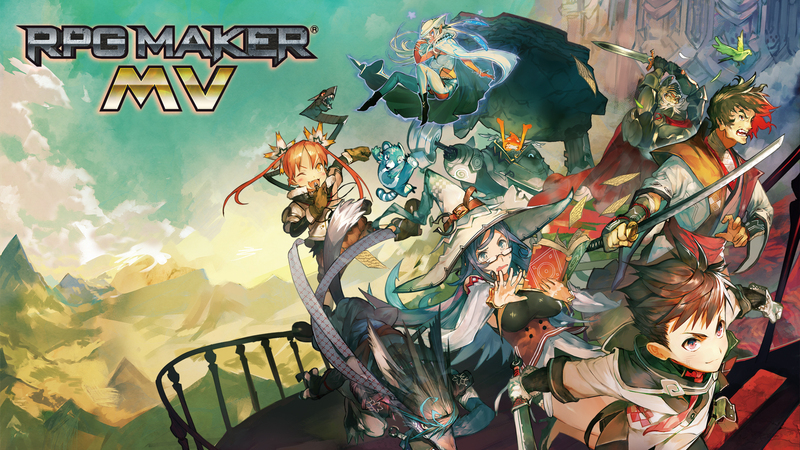 One aspect of this RPG Maker title that stands out is the overall look. Instead of the usual SNES-era sprites and backdrops, Suits has been literally sketched out in pencil. This creates a unique atmosphere and fits the whole idea of frustration in the office very well. At times funny, at times surreal (Play GoGo!) and even at times profound, this is definitely a game to check out if you are looking for a short but quirky gameplay experience with plenty of cultural references and sandwiches. 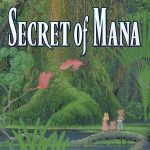 Any other RPG Maker gems out there that you think should make our list? Leave a comment below or let us know through social media! David has been playing games since he got hooked on Bombjack and California Games as a kid. Having moved on from joystick waggling, he now enjoys survival adventures, interactive stories, and all things indie.